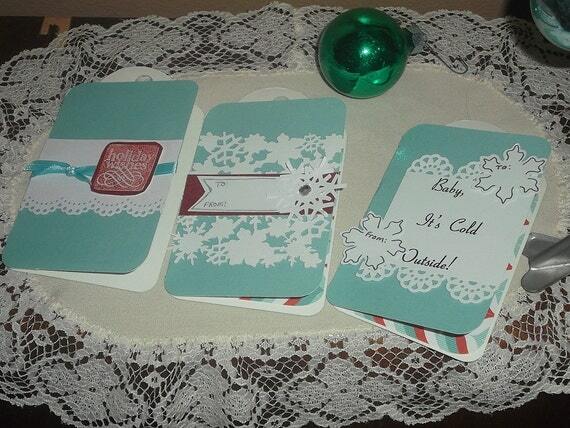 I've been in a holly jolly mood this Christmas and I've been working on some new designs. 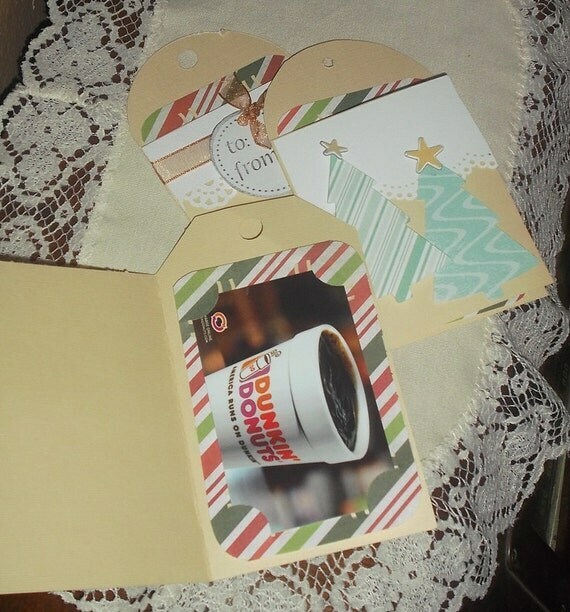 These are tag cards that I've added an extra piece to with tabs that you can slide a gift card inside. There is still plenty of space to write on the inside left flap of the card with your greetings and on the outside there is a place on many of them to write your "To and From". They're great for those gift cards you're giving this season. 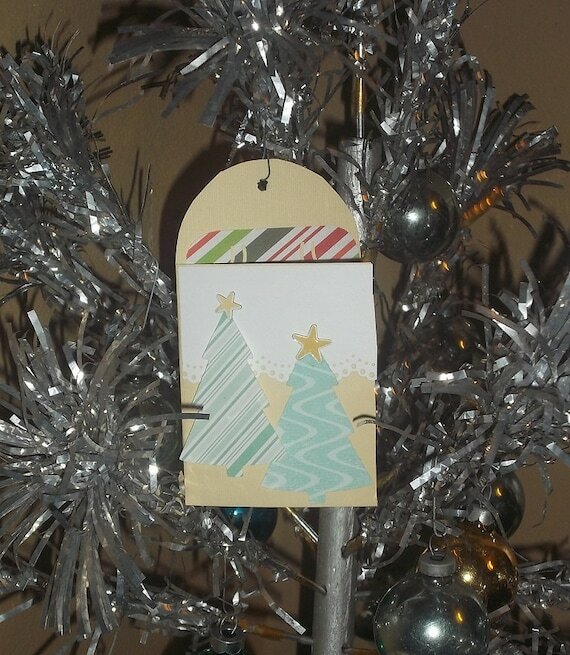 They're designed so you can hang them on the tree, attach them to a gift, or just give them as a card. I've already sold out of the red and green glittered ones and am working on getting some new ones made up again. I love the way these ice blue ones came out. I'm really excited about how these have turned out. Tell me, is your holiday shopping all done yet? 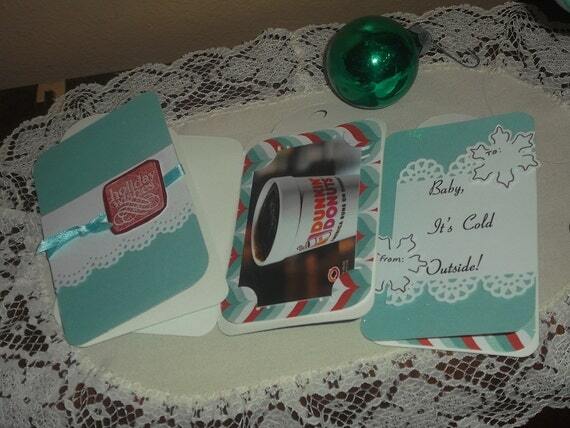 Are gift cards on your list for giving this year?